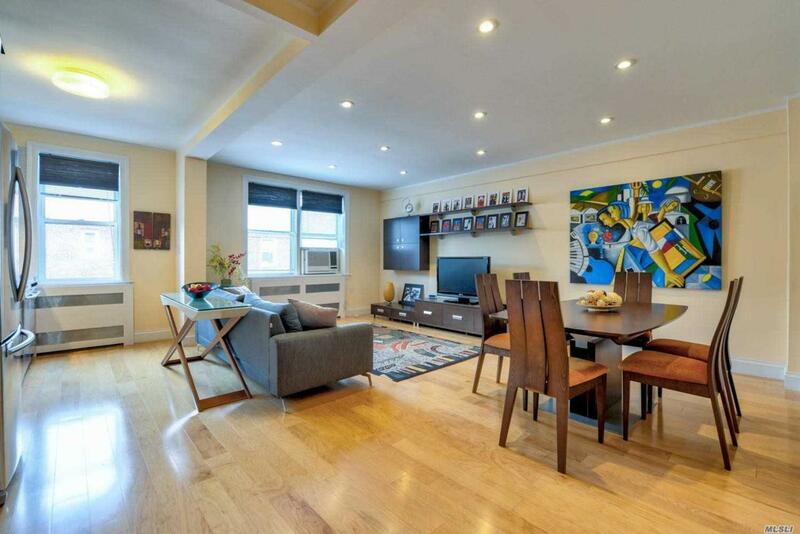 Professionally Remodeled and Redesigned Top Floor 1 Bedroom, 1 Bath Sun-Drenched and Spacious Unit With High Ceilings Throughout Located Perfectly In Heart of Forest Hills. Solid Maple Wood Flooring, Sparkling Kitchen Cabinets, High End Stainless Steel Appliances, Oversized Living Room, Bathroom With New Fixtures, Updated Electrical And Plumbing. Full Service Doorman. Easy Commute To City, LIRR Steps Away. Enjoy Local Restaurants And Shops On Austin Street.